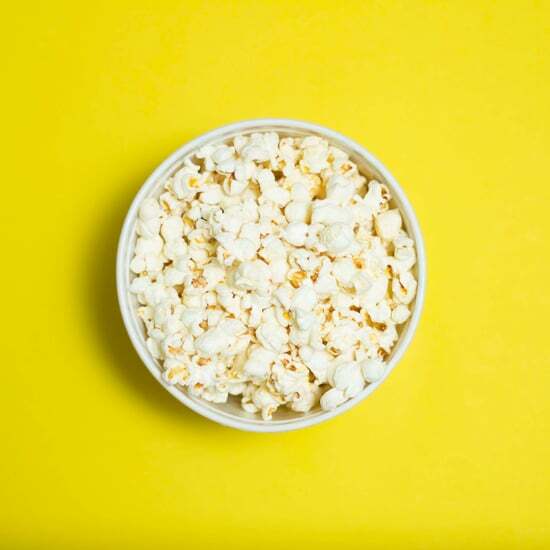 Instead of throwing glass jars into the recycling bin, upcycle those pasta and condiment containers into something really pretty and functional. 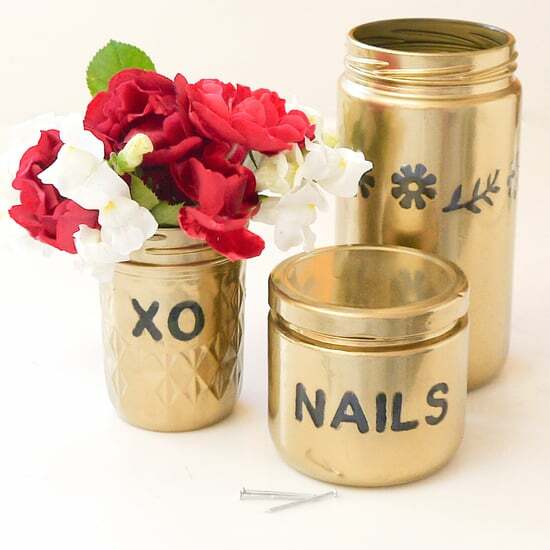 Get organized with a chic jar dedicated just for your nails, a sweet jelly jar vase, or a creative container for your random bits and pieces. 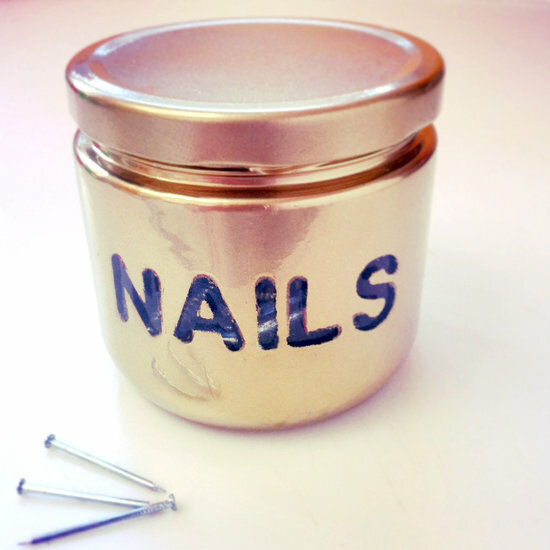 With the help of some gold spray paint and a few foam stickers, you've got all the fixings for a fun and crafty DIY. Invite all your besties, and their glass jars, to make stunning statement pieces that help organize and make great gifts. 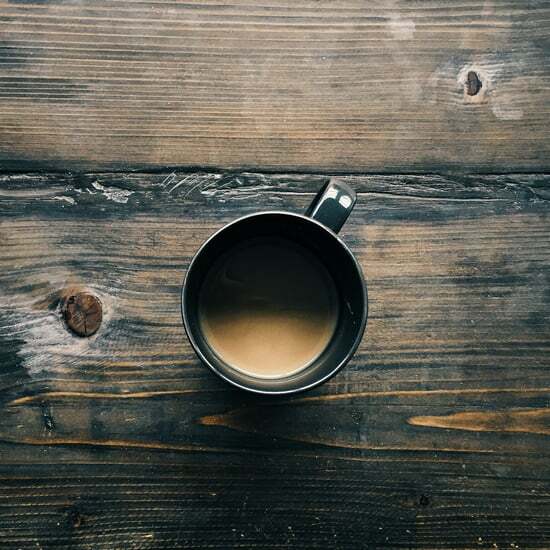 Read on for the easy directions. 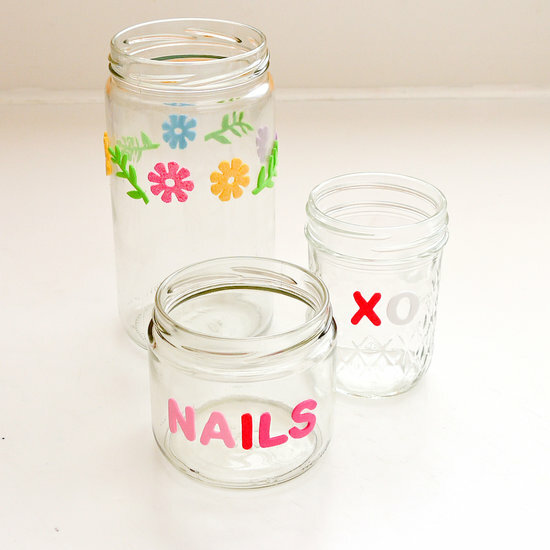 Any size and shape of glass jar works well for this DIY. And using foam shapes, numbers, or letters adds a bit of fun. Spraying the lids lets you secure your items while staying chic. Wash and dry the containers, and then decide how you'd like to adorn them. 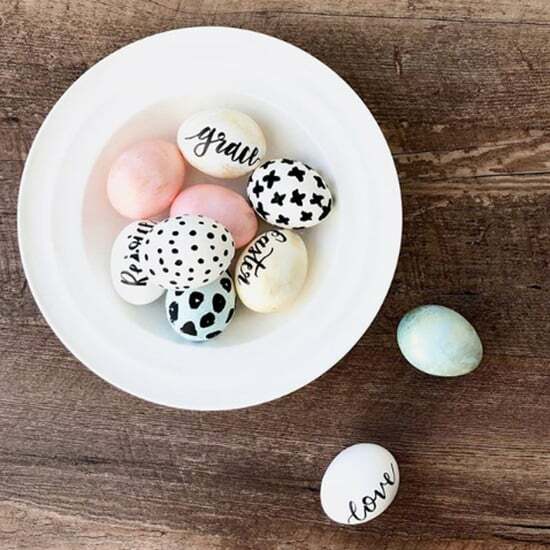 Write a special someone's name on the jar, title it with what the container will hold, or get creative and make a pattern or design that circles the glass. 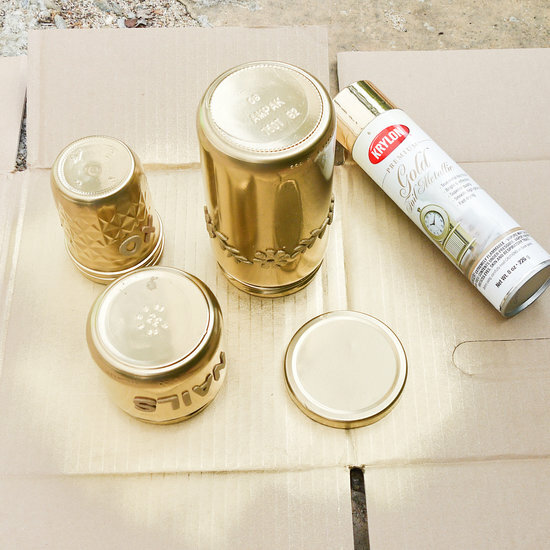 Place the jars upside down on a length of old cardboard outdoors or in a well-ventilated space, and spray with the gold spray paint. Touch up with a second coat as needed. 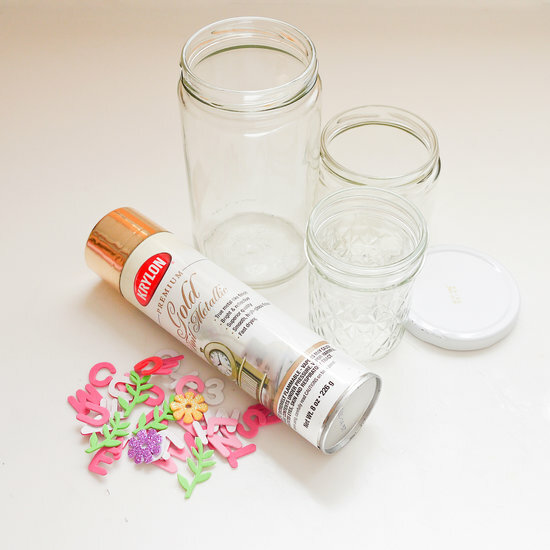 Once the jars are dry, carefully remove the foam stickers from the glass. Use a damp paper towel to gently remove any bits of the sticker that remain. 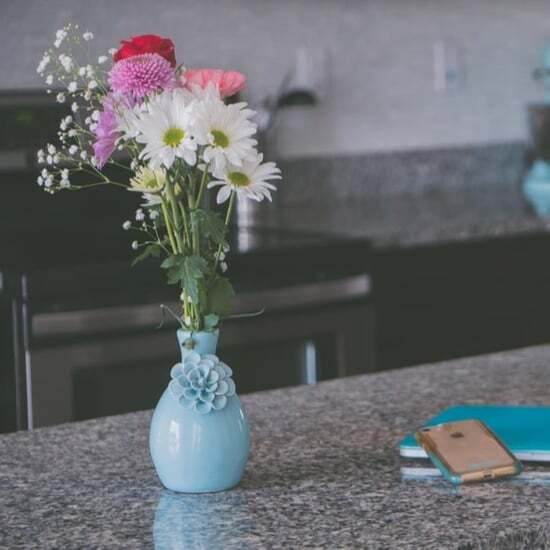 Get organized and fill with different items, give as gifts, or adorn your desk or mantle with one of the finished jars filled with a mini bouquet of flowers.